contact us using the details listed above and we will respond promptly. We treat all replies to this form as Strictly Confidential. We will not disclose any information to third parties. 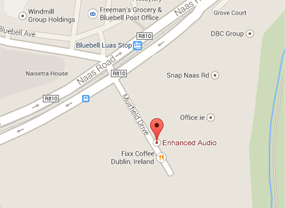 Enhanced Audio products are proudly designed and manufactured in Ireland © 2014.